Rhubarb Crumble, the ultimate comfort food! 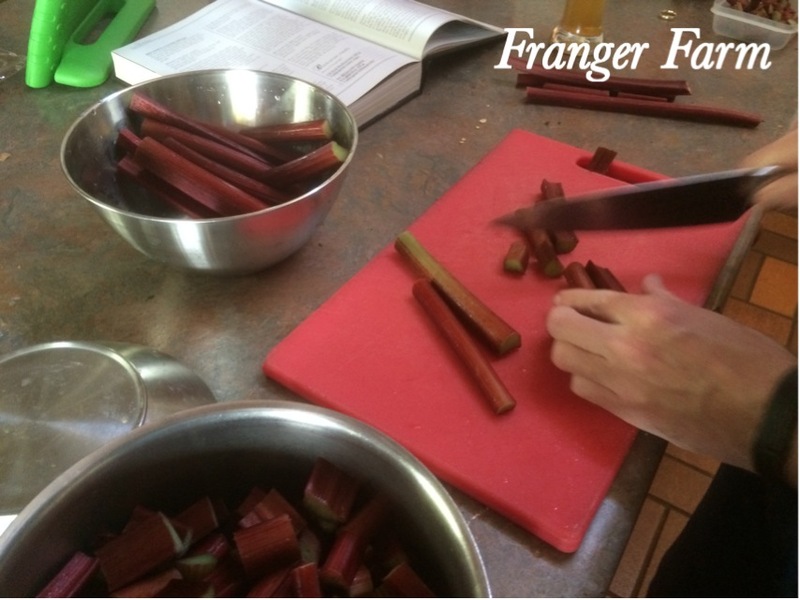 We had a serious Rhubarb glut the other week, this is never a problem here because Mr Franger Farm swings into action to make us a delicious Rhubarb Crumble. Served with custard, this really is great comfort food, here’s the tried and tested recipe from Delia Smith, you’re going to love it! 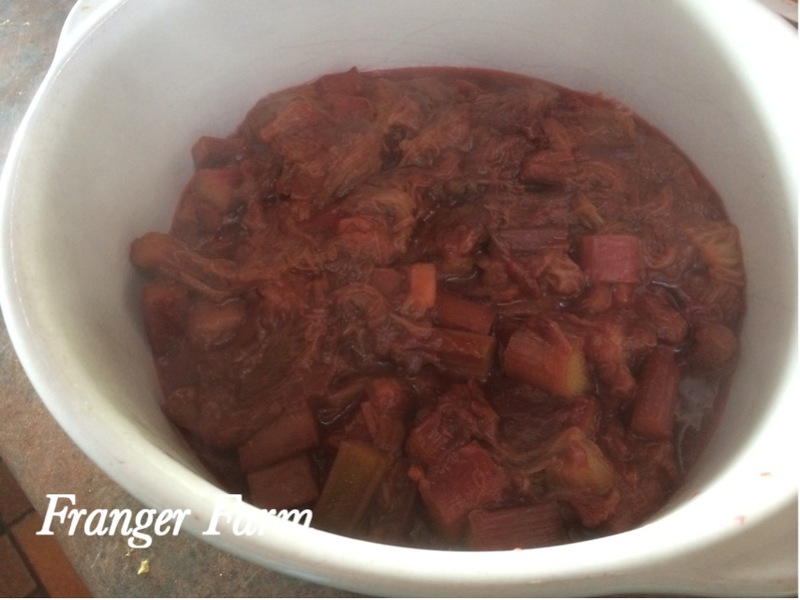 Chop your Rhubarb into chunks. Preheat the oven to 180C (350F). 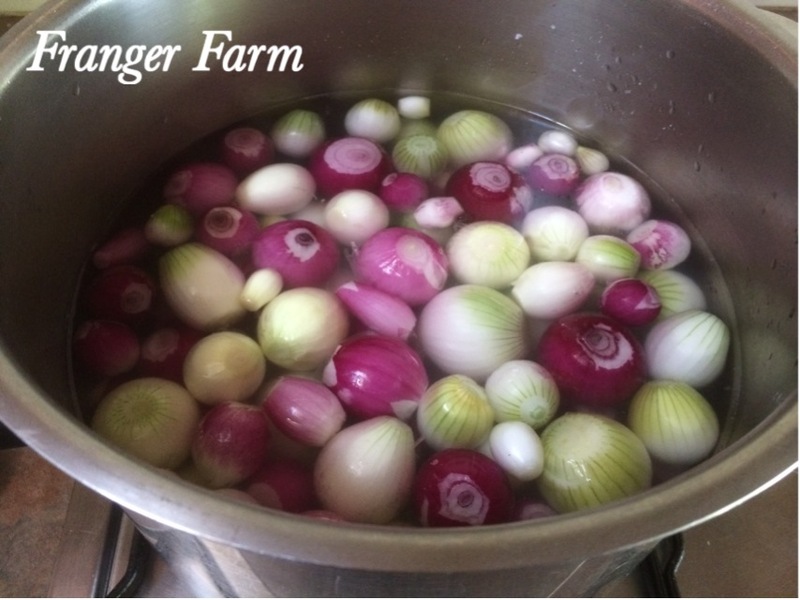 To make the Rhubarb for your crumble, first, cut the Rhubarb into chunks, then place in a saucepan with the sugar. Make sure that you cook it over a gentle heat, and keep it covered, for about 15 mins. be sure to stir it every so often so that it cooks evenly. 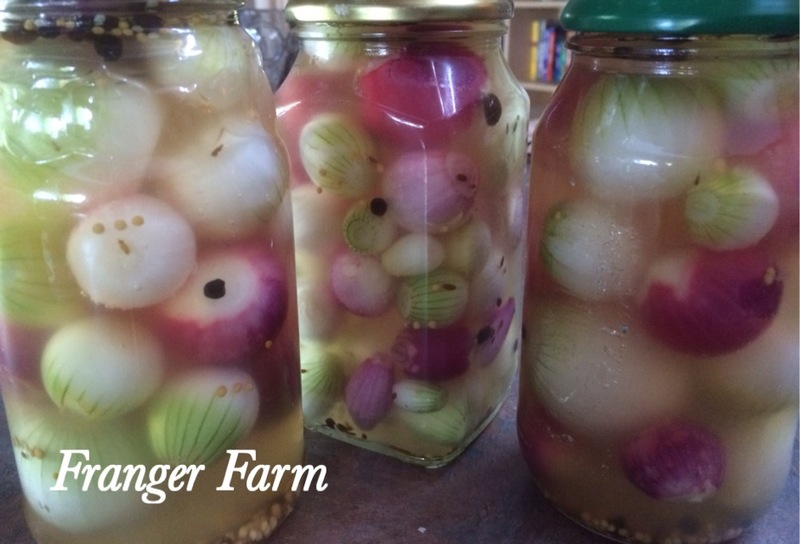 Transfer your cooked Rhubarb to a pie dish. When your Rhubarb is cooked, transfer it to a pie dish. It’s now time to make your crumble topping. 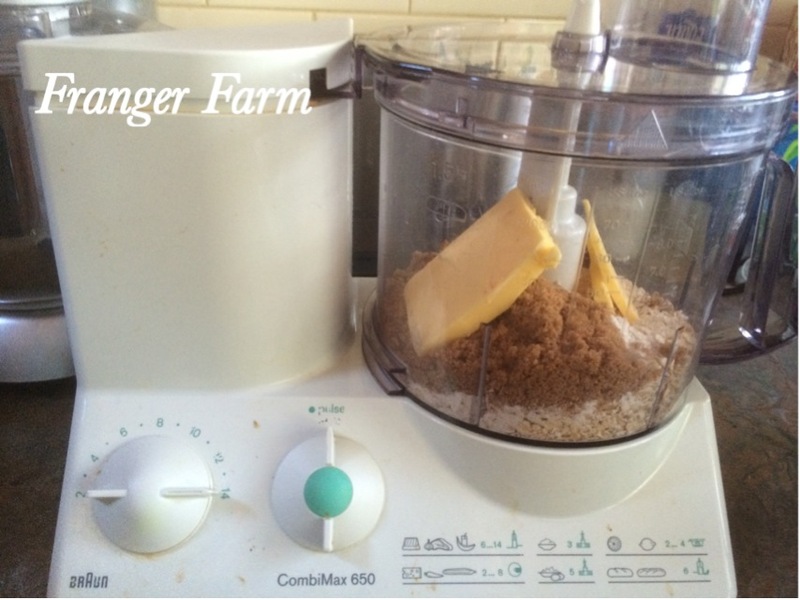 put your crumble ingredients into the food processor. 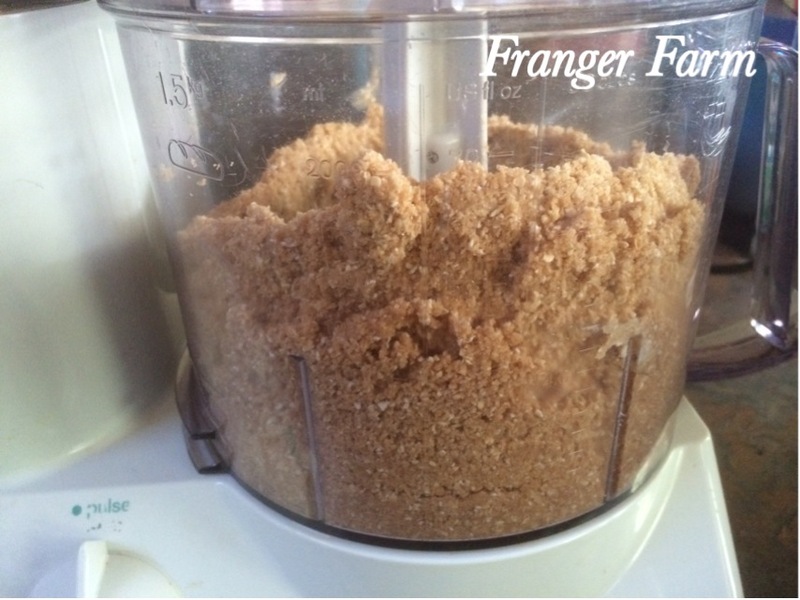 Place the flour, butter and sugar into the food processor and whizz until combined and crumbly. Spread the crumble mixture over the Rhubarb mixture in the pie dish and bake in the oven for 30-40 mins, or until browned on top. Serve with custard and enjoy the feeling that all is well with the world! Check out these great products on Amazon. 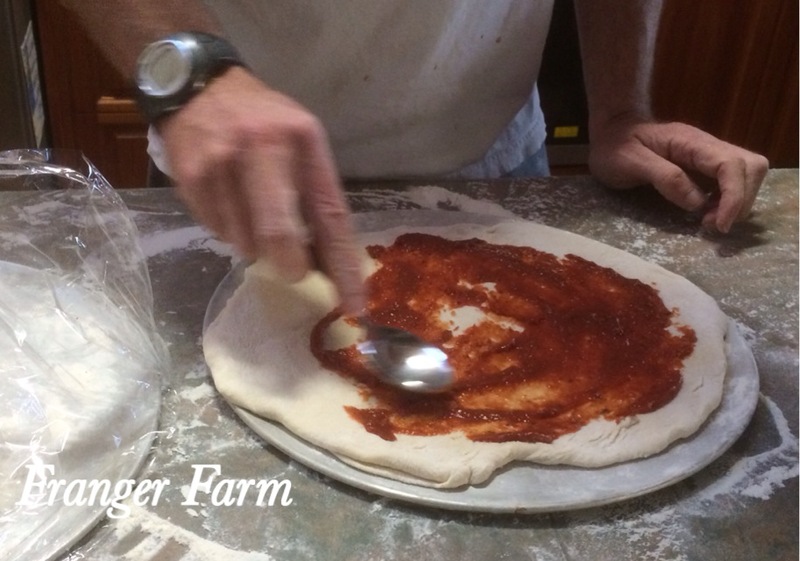 Mr Franger Farm’s Guide to making perfect pizza. 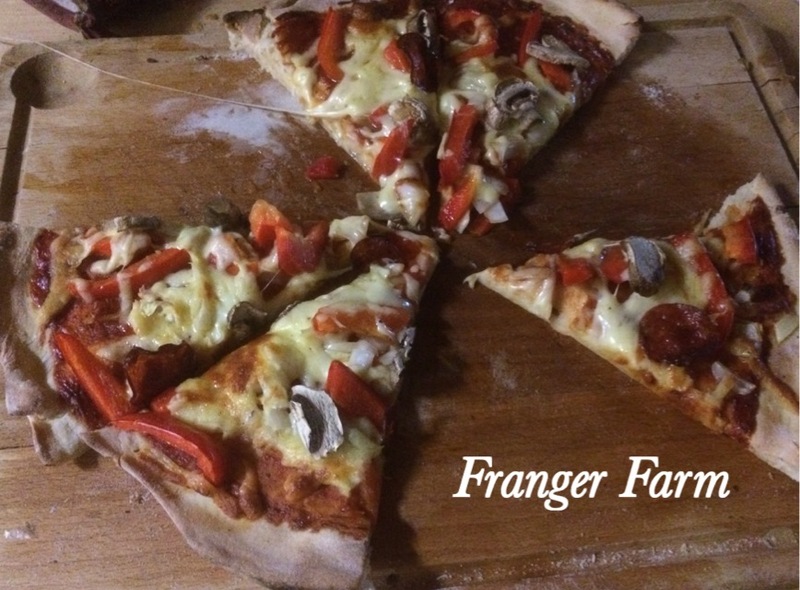 Mr Franger Farm makes a mean pizza, his pride and joy is his self built wood fired pizza oven. He only uses one recipe for pizza base and it’s always a great success. Follow his guide to the perfect pizza and you can’t go wrong. Divide the dough and let it double in size. 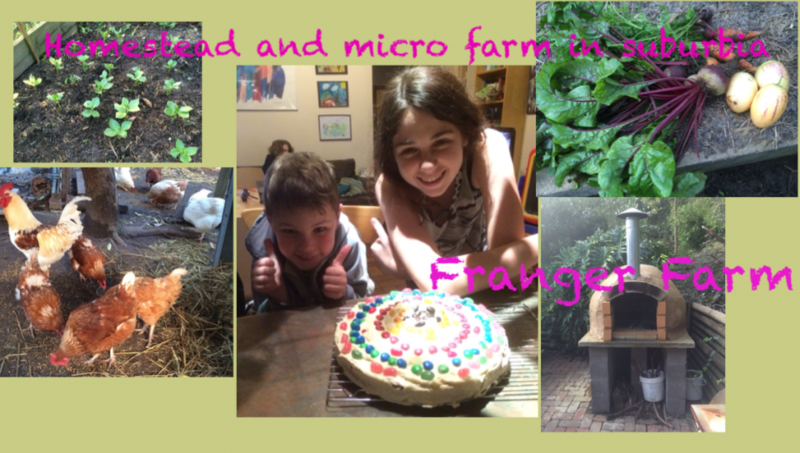 Mr Franger Farm uses this dough recipe by Curtis Stone, and it works every time. 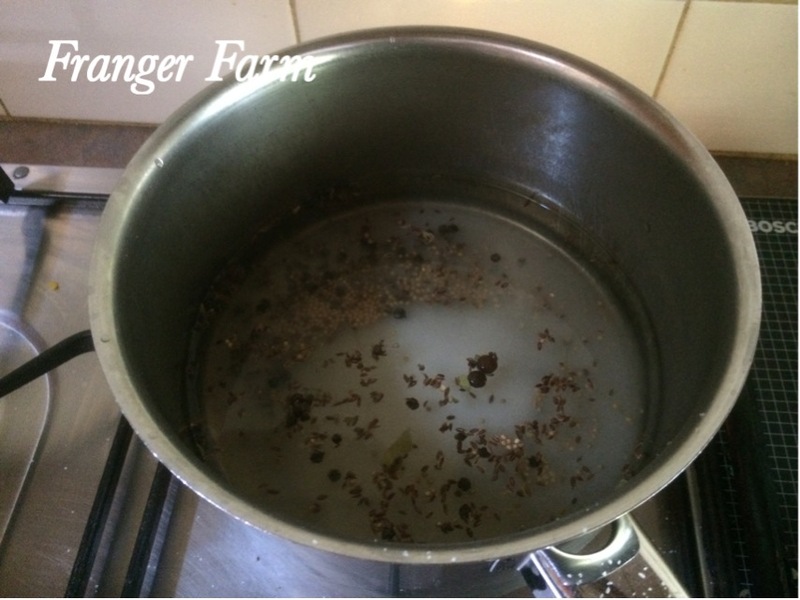 In a small bowl, whisk the warm water, honey and yeast to blend. Set aside for about 5 minutes, or until foamy. Stir to dissolve the yeast. In a food processor, pulse the flour and salt to combine. 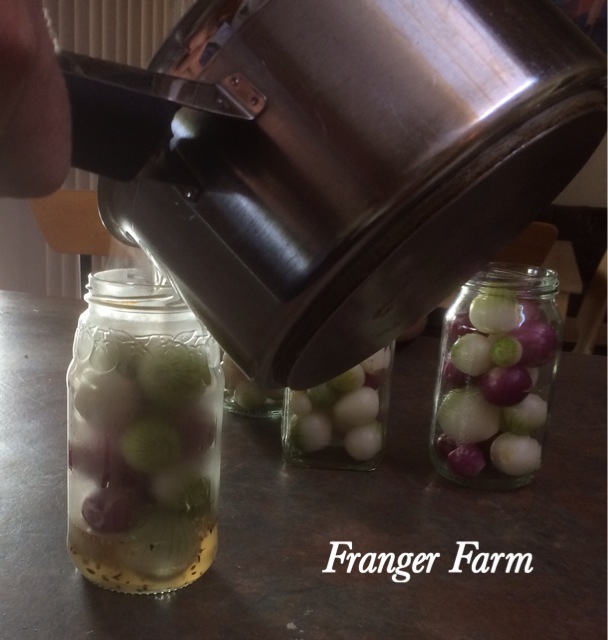 With the machine running, pour the yeast mixture an olive oil and process until the dough forms a ball. 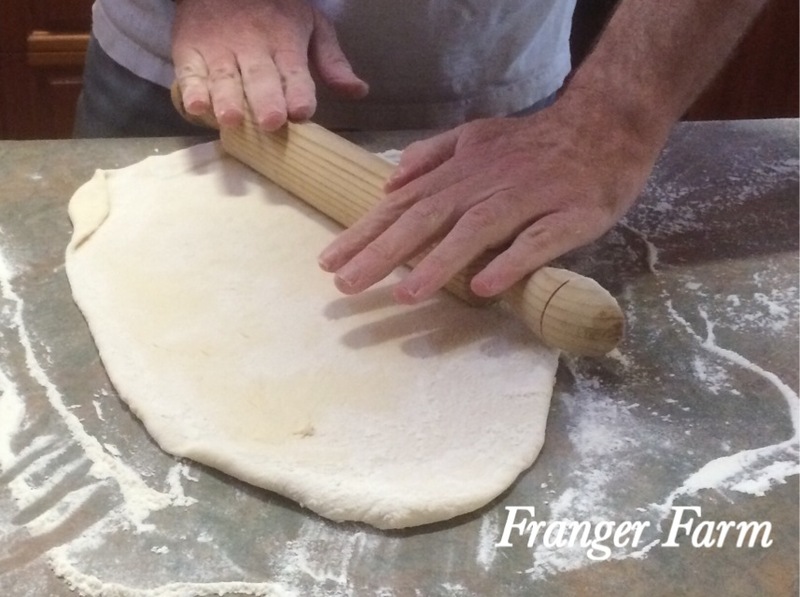 Transfer the dough to a work surface and knead for about 3 minutes, or until it’s smooth and elastic. Do not add too much flour. The dough will be tacky but should release cleanly from your hands. 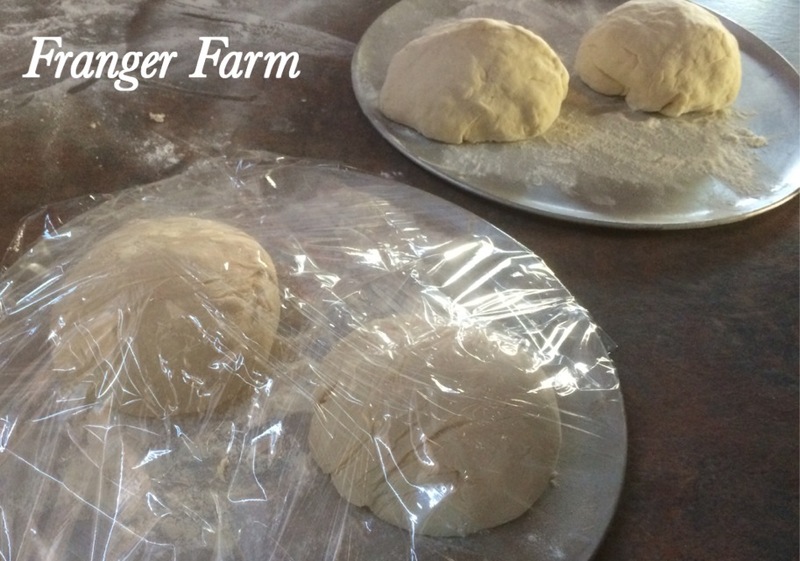 Divide the dough in half and firm into a ball. Place on a baking tray and cover with cling wrap. Let it stand until it doubles in size. 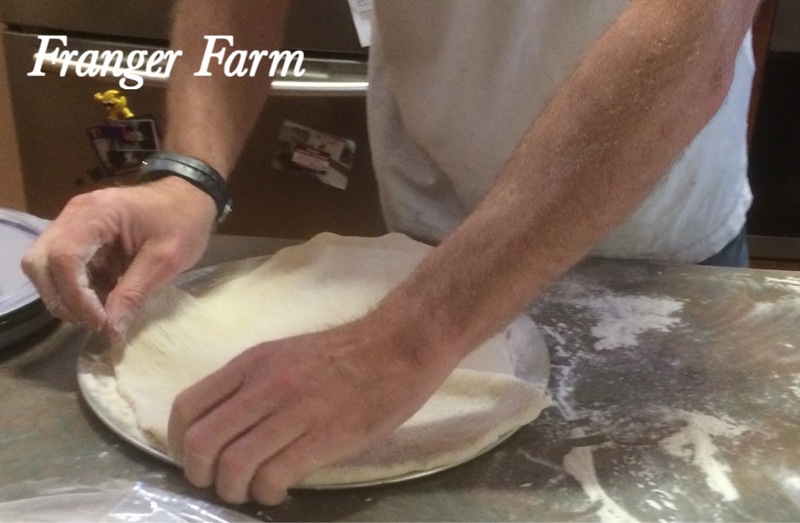 Once the dough has doubled in size, you can take one ball and roll it into a circle with a rollng pin. You can then place your dough on your pizza tray. It’s now time to add your toppings. Spread pizza sauce over the base and then add toppings of your choice. Spread pizza sauce on the base. You can cook your finished pizza in a wood fired pizza oven for best results, but we have also used a conventional oven to bake these pizzas and it has worked well. Enjoy withy a friends and family and a glass or three of wine!